I have seen several rave reviews about Emery Lord’s debut novel Open Road Summer. Based on what I’ve heard, it seemed like a YA contemp with a sweet summer romance. 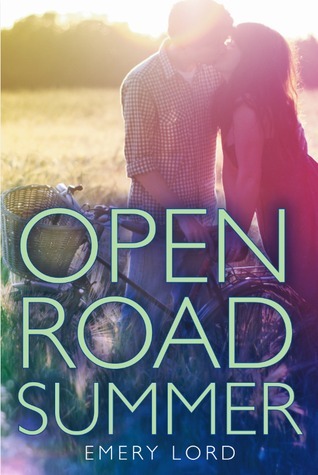 It is eternally summer here in Singapore (and also in Manila) so I felt like I could read Open Road Summer anytime I was in the mood for it. After breaking up with her bad-news boyfriend, Reagan O’Neill is ready to leave her rebellious ways behind… and her best friend, country superstar Lilah Montgomery, is nursing a broken heart of her own. Fortunately, Lilah’s 24-city tour is about to kick off, offering a perfect opportunity for a girls-only summer of break-up ballads and healing hearts. Reading Open Road Summer was a case of the right book at the right time for me. I made the mistake of starting it late at night and stayed up until 2am to reach the halfway mark. I wanted to go on but I had to get some sleep to avoid being a zombie at work the next day. What I loved about this book is that it is in equal parts a story about two best friends who have supported and loved each other for years, and also a sweet summer romance. I loved how strong the friendship is between Reagan and Dee, they’ve been there for each other throughout all the problems that they’ve had. They also don’t let their relationships come between their friendship. It just feels like such an honest and true friendship between the two of them. They planned Dee’s summer tour as the ultimate road trip which will let them spend as much time together and hopefully will heal their broken hearts. Their friendship reminded me of how thankful I am to have good friends in my life. I may not have a specific best friend like Dee and Reagan but I have girl friends who help keep me sane. Another aspect of Open Road Summer that I really enjoyed was the romance. Oh boy, such a good slow burn romance! Sparks flew the moment Reagan and Matt meet but they couldn’t act on the attraction for reasons that you will find out when you read the book. Given how much they’re thrown together because they’re traveling on the same tour, they try to get to know each other as friends instead. Reagan has made some bad decisions in her life but she’s choosing to follow a better path. Over the years, she’s learned to develop a prickly nature as a defense mechanism for all the issues that she’s faced. Matt is quite the opposite in the sense that he’s an easygoing, friendly guy who has had the support and love of his family his whole life. Reagan and Matt have led such different lives and yet they feel a connection right after they meet – not just attraction but the recognition that someone understands life the same way you do. Because they both have experiences with loss and grief and just had different ways of coping. Because of this, it felt like the author highlighted how important it is to have friendship as the foundation of a relationship. The tour reminded me of summers back home in the Philippines, which usually means road trips and beach trips with friends. Taking it easy, hanging out with friends and doing what you love. For Dee and Matt, that means focusing on their music – performing and writing songs. While for Reagan, it’s photography and capturing moments using her camera. A little detail that I liked was that Reagan has a Diana camera, yay for lomo! I’m always a fan of characters who are passionate about the things that they love so I think it’s great that these three characters are actively pursuing their goals and dreams. As with any book where music is a big part, I wish there was a way to hear the songs included in the story. I think it would have been perfect if there was a playlist at the end of the book, like similar songs to the ones featured within it. Open Road Summer was such a good read for me, I’ve added it to my best of 2014 list. Recommended for fans of Saving June by Hannah Harrington, Such a Rush and Going Too Far by Jennifer Echols. Loved the pictures! I can’t wait until this one is free to check out at my library- it sounds fantastic! I ADORE your road trip photos. (And put me down as interested in this one! I think I might like it). Yay, I’m glad you like the pictures. 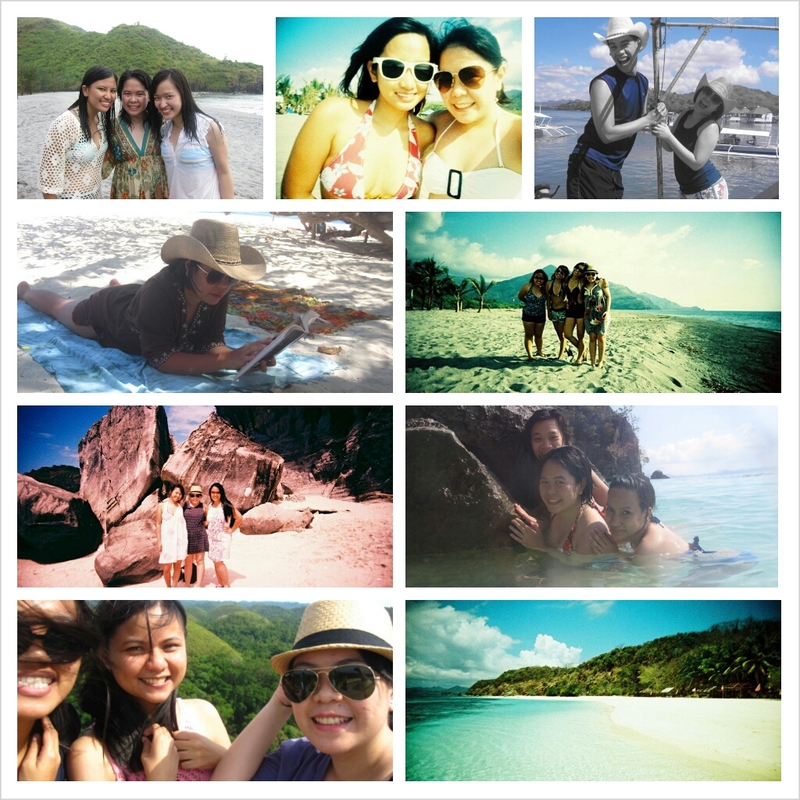 I had fun putting that collage together and it made me miss my girlfriends. Good thing I have Viber/Whatsapp threads with all of them. I really think you’ll enjoy this one, Janice. I am so, so happy you enjoyed Open Road Summer! It’s definitely one of my favorite books from this year, and I’m always glad when people like it as much as I did. I loved that she balanced the friendship and romance aspects well, and I just loved the way this road trip plays out. Great photos, by the way! Yay, good to know we have the same book in our best of 2014 lists. I always enjoy novels that has a nice balance of friendship and romance. I feel like that makes them more realistic, instead of just focusing on the romance.